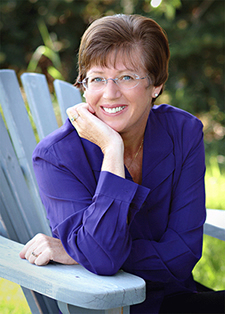 As a certified thinking styles consultant, life and spiritual coach, I'll help you upgrade your communication skills to enjoy more satisfying relationships. In particular, you'll learn how to identify your preferred, as well as back-up thinking styles, especially under stress. You'll discover new tools to understand what keeps you stuck and how to release old response patterns. For over 25 years, I've been supporting individuals, partners and work teams to better respect and get along with each other. I look forward to assisting you to create greater satisfaction in all areas of your life. 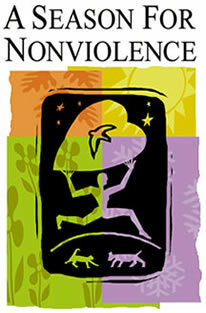 The annual 64-day Season for Nonviolence was launched at the United Nations in 1998. Since then, peacemakers from over 67 countries have participated in this educational and grassroots campaign. It was co-founded by Gandhi’s grandson, Arun, and the Association for Global New Thought (AGNT). The season spans these two memorial anniversaries: Mahatma Gandhi (January 30th) and Dr. Martin Luther King, Jr. (April 4th). The intent of this booklet is to support personal reflection and application of the principles on nonviolence, to promote group discussion, and to strengthen commitment to take action as peacemakers. Feeling shattered is not the end of the story. Being a peacemaker is the willingness to be “cracked open” and praying for the Light to flow from the inside, out. “Expansion” Bronze is sculpted by Paige Bradley. Photo by Victor Lefar. Visit Paige’s website at www.paigebradley.com for more details. 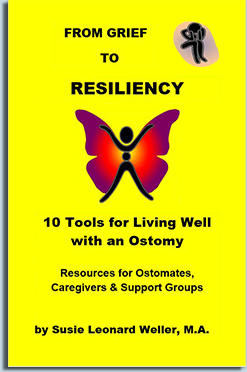 Click here to get your copy of Susie's booklet from AGNT as a Power Point. Wonder why you’re in sync with some people and at odds with others? Frustrated by conflicts that keeping getting worse instead of better? 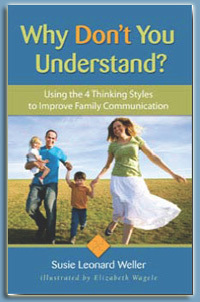 Want to speak in ways that make sense to family members and co-workers? Many squabbles at home and at work are due to how our brains are wired. Never before have we understood so much about brain development—but so few are applying it to their relationships. In Why Don’t You Understand? you’ll discover how to apply new brain research to get along better with your partner, children, extended family and colleagues. This 144-page book is packed with real-life scenarios, charts with easy applications and tips for the do’s and don’ts for healthy relationships.